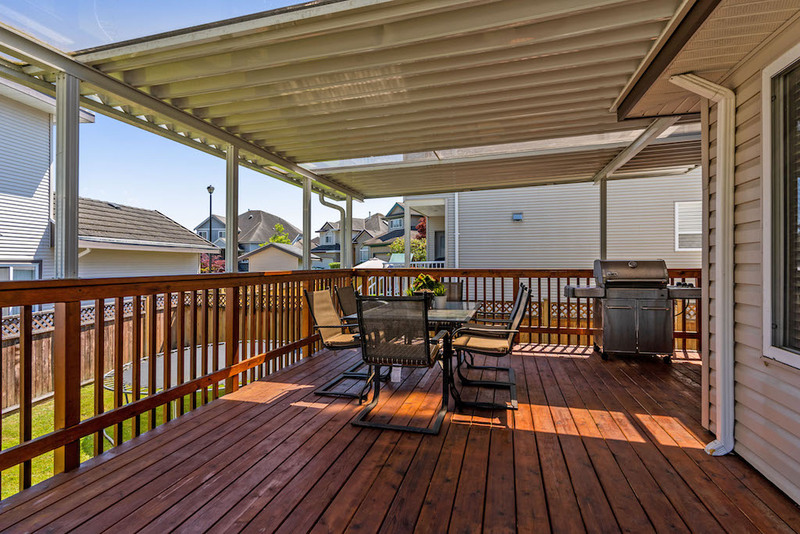 Blog: Why Should You Install a Pergola in Your Backyard? Are you wondering the benefits of installing a pergola in your backyard? Perhaps you’ve seen a pergola at a friends house or heard they can be a way to make your home more saleable. There are many benefits to a pergola, and we are exploring them in this article. As well as providing shelter and making your garden look better, a pergola can even boost the value of your property. One of the main benefits of installing a pergola, gazebo or other outside structure or feature has the potential to make a big impact on the perceived price of your home. Check out this well-researched guide that includes value-boosting maintenance tips. It has a whole section dedicated to building garden structures. The guide mentions an ASLA (American Society of Landscape Architects) survey in which pergolas ranked number two on the list of most desirable outdoor structures. If the home value is boosted by the pergola being in place, it can mean that it is an investment, not just an expense. If you spend money on a pergola and invest wisely, or do the work yourself, you can make the money back when it comes to time to sell your property. This doesn’t mean that you have to install one while you are thinking of selling. There is no reason you can’t take advantage of owning the pergola and the benefits it brings to your garden first. Having a sheltered area in your backyard is always very beneficial. You may live in a space where it is hot and sunny a lot of the time and you are looking for a cooler area with shade from the sun (and potential sunburn). Alternatively, if you are in an area prone to showers then this can be a way to stay dry. An example such as this home, where there is a pergola area with seats, a table, and even a fire pit just under the shelter it provides. This is a perfect place to sit and have food and drink or to entertain guests. Gazebos can do a similar job, but a pergola can provide a more permanent structure with a higher perceived value. Sometimes the pergolas are in place for design purposes more than anything else. This beautiful home is an example of a pergola which is in place as it has a quirky design and brilliantly sets apart an outdoor dining area. A pergola allows you to do so much in terms of design. You can choose from a number of different woods and other materials, and decide whether you want full coverage or just a partially sheltered area. One of the most popular uses of a pergola is to grow vines and other climbing plants around them. Sprucing up your yard with plants is one of the top tips for selling your home. This can give a really luxurious feel to your backyard and create a classy ambiance. If you are green-fingered, a pergola can be another place for your gardening experiments. A lot of people don’t spend a huge amount of time in their backyards as they are worried about privacy. If you have other homes nearby which overlook your yard then it can often be the case that you don’t feel as comfortable with your privacy as you would in your own home. Your backyard should feel like an extension of your home in terms of being another private area when you can relax, safe from prying eyes. A pergola can help you to create that. Whether you have prying neighbors or not, it is good to feel like you are relaxing in an area where nobody can see you. A pergola can give the illusion of four walls, and the fact that it provides a roof area means that you can treat it as another room. There are examples of people using their outdoor space for all sorts of things. Some people have installed outdoor grills and cooking areas with pizza ovens, BBQ grills, smokers and of course seating areas. If you are a serial entertainer, you could think about using your pergola ‘room’ as a bar and having space for your friends to gather. Other people have even installed televisions outside and made outdoor tv theatre areas in their pergolas or gazebos. If you are confident with electronics then this can be a good, fun reason to install a pergola. Other creative uses we’ve seen including shelter for a hot tub or just as a beautiful dining space. Have you enjoyed our post on installing pergolas? Can you think of other benefits? Feel free to share your thoughts in the comment section below, or share our article with your friends if you think it can be helpful for them.